New York City’s largest food rescue organization, City Harvest, held its signature fall tasting event, BID on Thursday, October 4th at the Metropolitan Pavilion in New York City. This year alone, City Harvest will rescue 61 million pounds of food and deliver it, free of charge, to hundreds of food pantries, soup kitchens and other community partners across the five boroughs. 800 guests were in attendance, and $1.6 million was raised, enough to help feed 18,000 New Yorkers in need for a year. The money raised will be used to help City Harvest rescue and deliver more food that would otherwise go to waste for New Yorkers in need; distribute more free, fresh produce at its Mobile Markets; and bring more nutrition education to families across New York City. 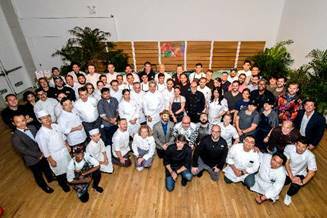 The event saw over 50 of New York City’s best chefs, restaurants, and mixologists, including Eric Ripert of Le Bernardin, Geoffrey Zakarian of The Lambs Club, Angie Mar of the Beatrice Inn, Emma Bengtsson of Aquavit, Michael Anthony of Gramercy Tavern, and many more. 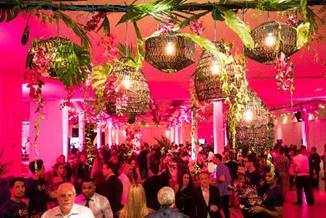 Participants were immersed in a lively Havana Nights theme while they enjoyed delicious dishes and cocktails, created custom DKNY tote bags, and bid on once-in-a-lifetime experiences during the live auction led by Auctioneer Billy Harris. Wine Tasting and Truffle Hunt in France and Italy: A journey for 4 through France and Italy, including a specially curated Dom Pérignon tasting experience and a stay at a five-star Relais & Chateaux in the Champagne region of France, a private tasting in the by-invitation only Moët Hennessy Boutique in Paris, and a traditional truffle hunt in Italy’s Umbria region with a truffle-themed lunch hosted by Urbani Truffles USA. Winning bid: $20,000 – enough to help feed nearly 12,000 New Yorkers in need for a week. Iron Chef Dinner Party: The legendary Food Network’s Iron Chef Kitchen Stadium will come to The Lambs Club with Iron Chefs Geoffrey Zakarian and Alex Guarnaschelli. They will prepare cocktails and an epic, Iron Chef-style dinner for 8, with the famed secret ingredient revealed that evening. Winning bid: $31,000 – enough to help feed over 43,000 families for a day. Savory and Sweet Extravaganza: A luxurious, private dinner for 10 inspired by the flavors of Alsace and Vienna prepared in the winner’s home by Michelin-starred chefs Gabriel Kreuther and Markus Glocker. 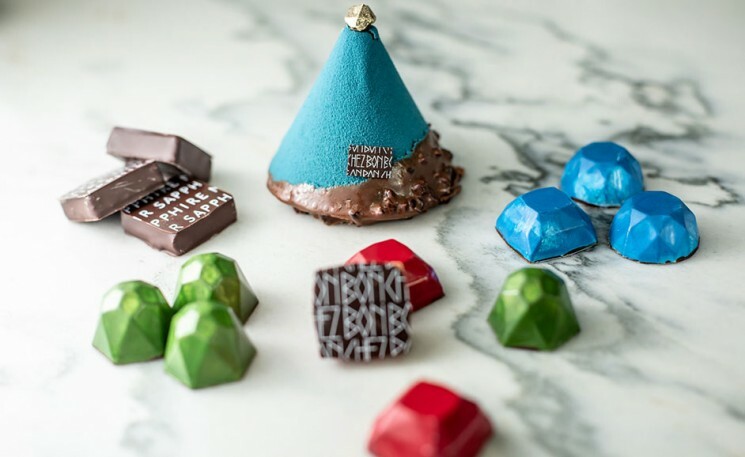 The dinner will conclude with a bespoke cake by Ron Ben-Israel and the finest chocolates from celebrated pastry chef Marc Aumont of Kreuther Handcrafted Chocolates. Winning bid: sold twice for $30,000 to two winners, for a total of $60,000 – enough to help feed over 8,200 seniors for a month. Aged to Perfection – An Evening with the King and Queen of Red Meat: An exceptional evening hosted by executive chef and owner of the Beatrice Inn, Angie Mar, and America’s most famous butcher and meat purveyor, Pat LaFrieda. 8 guests will enjoy a private tour of Pat LaFrieda’s facility, select cuts of the world’s finest dry-aged steaks and beef for the dinner, and will also be treated to the Beatrice Inn’s signature whiskey-aged steak. Winning bid: sold twice for $22,000 to two winners, for a total of $44,000 – enough to help feed over 26,000 children for a week. Cayman Cookout and Stingray Swimming with Eric Ripert: An idyllic weekend for 2 in the Caribbean, with world-class food and drinks at the luxurious Ritz-Carlton, Grand Cayman. The winner and their guests will experience the 2019 Cayman Cookout Weekend hosted by chef Eric Ripert, and they will also accompany chef Ripert on a private excursion to stingray city where they will swim with these magical sea creatures. Winning bid: $20,000 – enough to help feed nearly 28,000 families for a day. Additional sponsors for the evening included: Watermill Trading, Wilf Family Foundations, DKNY, Moët Hennessy USA, Empire Merchants, Evian, Institute of Culinary Education, I. Halper, OpenTable, Clement Restaurant & Bar, Pret A Manger, Specialty Food Association, Mandarin Oriental New York, and Taylor Creative Inc. Edible Manhattan was the media sponsor.